Having fun in an Orlando water park may be easy, but creating a stunning, world-class vacation destination that offers the perfect blend of relaxation and excitement takes ingenuity, creativity and a willingness to ensure that every detail is just right. 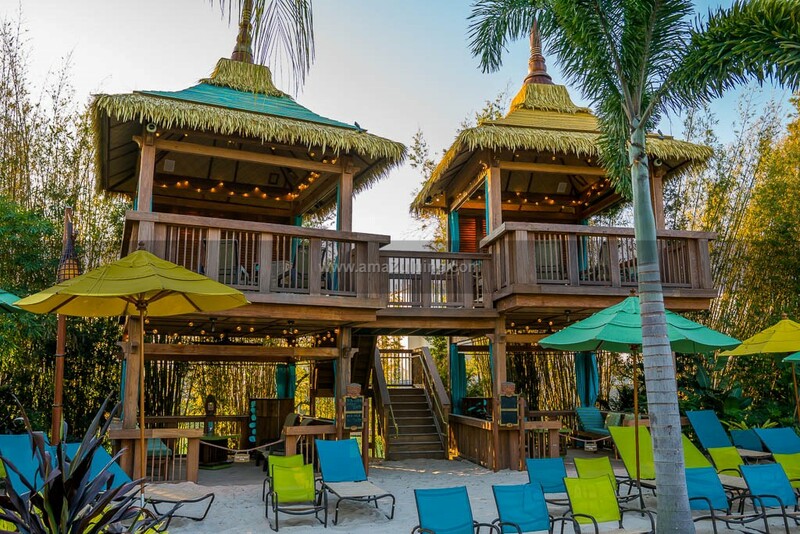 That’s why Universal Creative, the team behind Universal’s Volcano Bay, enlisted the services of amaZulu, Inc. as they were constructing this next-level Orlando water park. A tropical-themed water park complete with its own 200-foot erupting volcano, Volcano Bay is designed to bring the wonders of the Pacific Islands to the park’s visitors. With its reputation for sourcing top-quality natural and synthetic construction theming materials from hand-picked growers and manufacturers around the world, amaZulu, Inc. was a natural pick to work on the project. After all, this Clermont, Florida, company has repeatedly demonstrated that it cannot only provide unique, ecofriendly construction materials but also deliver expert assistance with customization, design, fabrication and installation. How did that unique combination of resources and skills contribute to Universal’s Volcano Bay? Anyone interested in spotting amaZulu, Inc.’s innovative handiwork needs only to look up. The majority of the ceiling treatments inside the water park’s buildings were supplied and installed by amaZulu, Inc.
To achieve the desired effect, amaZulu, Inc. meticulously pieced together woven bamboo mats and trim pieces crafted from custom-made synthetic bamboo slat and faux bamboo. All the synthetic bamboo mats were woven by hand, a process that forms an attractive, and delightfully distinctive, pattern. “The odd shape of the ceiling made installation our most pressing challenge,” says Evans. “If the mats were installed incorrectly, the ceiling would have looked like a patchwork quilt!” Fortunately, the team at amaZulu, Inc. loves a challenge. With meticulous preplanning and careful installation by the company’s installation team and general contractor Mader Southeast, the ceiling treatments were assembled so that the pattern created by the weaving ran in the same direction, flowing across the space and creating soaring ceilings with plenty of visual appeal. In addition to the authentic ceiling treatments, amaZulu, Inc. also provided other tropical touches in the form of eucalyptus handrails, some rope and netting, and various natural bamboo screens that are scattered throughout the Orlando water park to facilitate crowd control and provide additional privacy by screening the entrances to the park’s restrooms. After seeing what amaZulu could accomplish, the client expanded their request. The company was asked to also make several merchandise stands out of solid natural bamboo for use inside the park. When used effectively, exotic, environmentally friendly construction theming materials can transform a space from ordinary to extraordinary. The amaZulu, Inc. team thrives on helping its clients find creative solutions while utilizing construction products that are rapidly renewable and resource responsible. By sourcing sustainable products directly from vendors and artisans from all around the globe, the company is able to offer unique options and innovative solutions to designers, architects, engineers and general contractors on projects ranging from zoos, theme parks and resorts to restaurants, residential developments and luxury homes. Could your next project benefit from the assistance of amaZulu, Inc.? Fill out our form below to speak with one of our design consultants. See our gallery of images as well as our case study of working on Volcano Bay.